Baller.tv live-streamed all the games (with play-by-play by Patrick Pratt) and those games are archived and currently still available on their website. Very good scoring off-guard has excellent shooting touch and as well underrated athleticism. 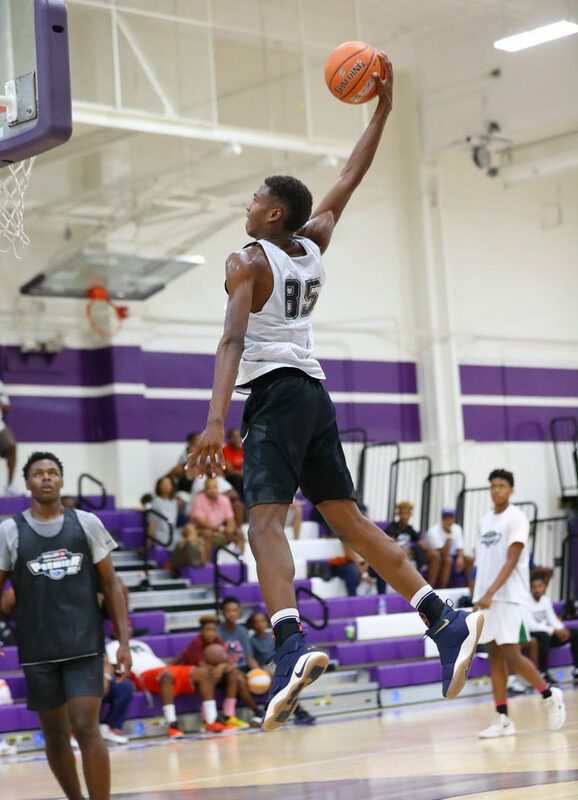 Williams had 22 points in Top 20 Senior Game including this great slam off a lob pass by John Clausell: https://twitter.com/JuliusVElite/status He is slated to visit Boston University, UC-Riverside and Santa Clara later this month. Strong and confident UNLV-bound PG has very nice perimeter range on shot and can explode to the rim. Scored 18 points in Top 20 Senior game here. Scoring combo-guard has nice ability to “stop and pop” from the perimeter. Just committed to Missouri State. Athletic and active forward runs floor very well and is a regular visitor to the glass. Ultra-quick but small PG is a blur with the ball in his hands and a very pesky on-ball defender. Played great here (14 points and 15 assists including a great lob to Giordan Williams). 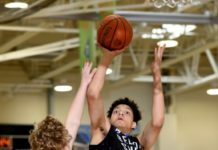 Ultra-athletic swingman with rapidly improving range on jump shot had 30 points in Top 20 Junior Game here, turning heads with his high-flying slams and high-octane scoring ability. Very good student (3.7 GPA) is on the verge of a break-out junior season and skyrocketing in the national rankings. 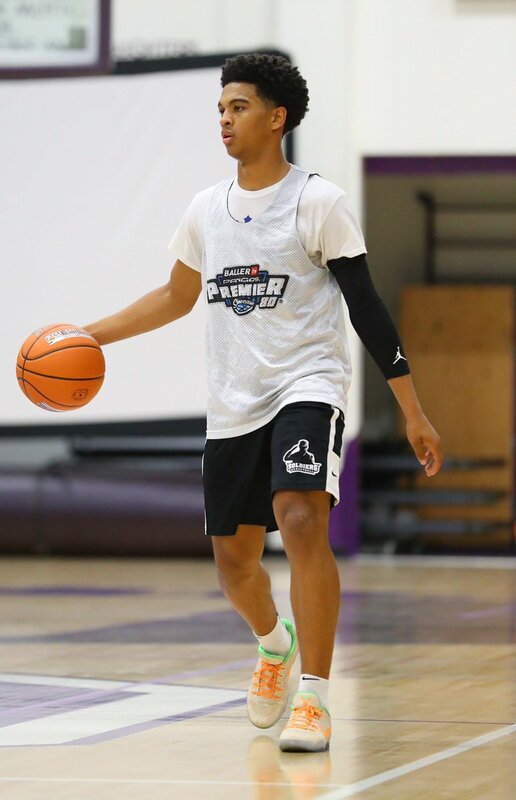 Brown has offers from Nevada, Rice, UTEP, Long Beach State and UTEP and is getting interest from UCLA, Oregon State, Western Kentucky, Wake Forest, Florida State, TCU, Texas and Georgetown. Bradley, an St. Anthony/Long Beach CA transfer, is a well-built southpaw with soft hands that allow him to catch and score in traffic and has very good ability to spot-up from the perimeter. Rugged rebounder and physical defender too. Currently sits in the #113 spot in 247Sports.com’s 2020 national rankings. 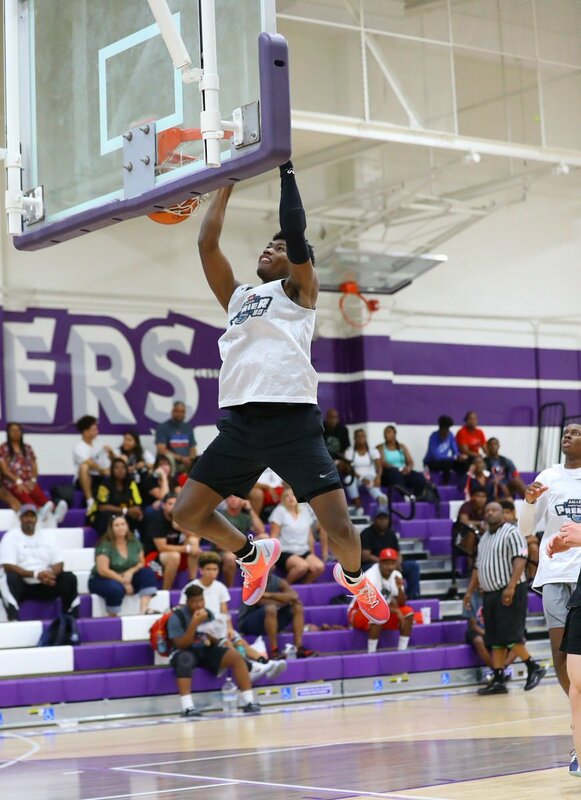 Ezewiro is getting strong looks from the likes of Oregon State, UCLA, Cal, Kansas State, Colorado State, Cal State Fullerton (offer), UC-Santa Barbara, UC-Davis (has unofficially visited), Eastern Washington, Montana and Seattle. Played very well recently at the John Lucas Elite Invitational Camp in Houston. Johnson was the CIF-3AA Player of the Year last year at Crean Lutheran (Irvine CA), leading the Saints to the 2018 CIF 3AA championship. 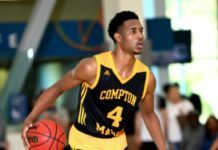 Isaiah has transferred to Bishop Montgomery for his junior season and is quickly being recognized as one of the fastest rising junior prospects in the West as well as one of the top 2-way players in all of Southern California. Strong and athletic, Johnson can score on sweeping drives to the hoop as well as via an improved mid-range jump shot. On the defensive end, he is an excellent positional defender and an impressive rebounder and shot-blocker. Johnson is quickly getting on the radar of schools like Cal, UCLA, Oregon State, UNLV, Rutgers (offer) and UC-Irvine. Played very well recently at the John Lucas Elite Invitational Camp in Houston. Silky-smooth jump shooter found nothing but the bottom of the net here as he connected for 25 points (including 5 threes). Underrated ballhandler and creator off the bounce is the son of former Yale and NBA center Chris Dudley. Very good student (3.4 GPA). High-scoring combo-guard is a bona-fide bucket-getter. 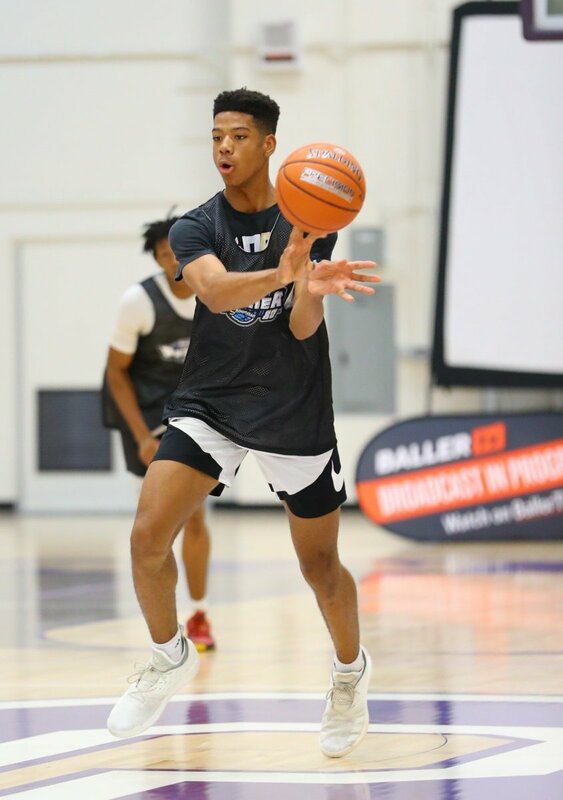 Has been offered by UC-Santa Barbara and Montana and is getting long looks from Arizona, UCLA, USC, Texas, Rutgers, Utah, San Diego State, Pepperdine, UC-Irvine, Grand Canyon and Santa Clara. Very improved multi-positional perimeter player is both an effective scorer and facilitator. 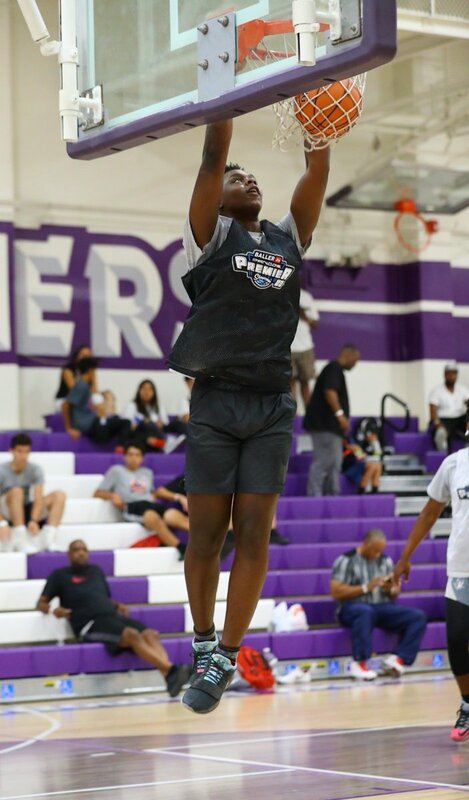 “Crime Dogg” has offers from Long Beach State, San Francisco, UC-Riverside, Cal State Fullerton, Montana, Texas-San Antonio and Towson as well as interest from Utah, USC, UCLA, Kansas State, St. Mary’s, Pepperdine, New Mexico, UC-Irvine, Hawaii, Utah State, Seattle, Loyola Marymount, Santa Clara, UC-Irvine, Missouri State and Pacific. Hot-shooting combo-guard does not hesitate to pull trigger when he gets a good perimeter look. Real West Coast sleeper has NBA range! Athletic lefty scoring combo with range on his shot and the quickness and bounce to get to the rim and finish. 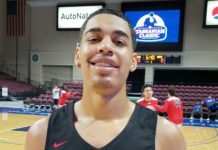 Wide-body center with improving skills is an emerging prospect in the West Coast junior class and has attracted offers from TCU, Ole Miss, San Francisco and Texas Tech. Long and quick swingman attacks the rim well and has the length to be very good defender. Originally a member of the 2019 class, Ofoegbu intends to spend a post-grad year in 2019-20. Strong and athletic WF can finish with authority at the rim and is quickly improving his scoring skills. St. Bernard/Playa del Rey CA transfer is already on the radar of Pac-12 programs. Powerful and assertive lead guard with very refined perimeter shot. Excellent defender too. Dangerous lefty shooter with great trust in the accuracy and range of his jump shot. 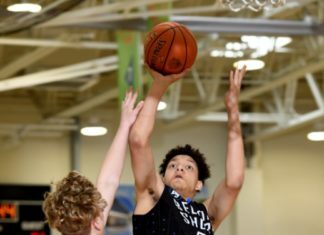 Quickly picking up mid-high major interest after an impressive performance at the recent Pangos All-West Fr/So Camp. Culver City/CA transfer is a very good student (3.5 GPA). 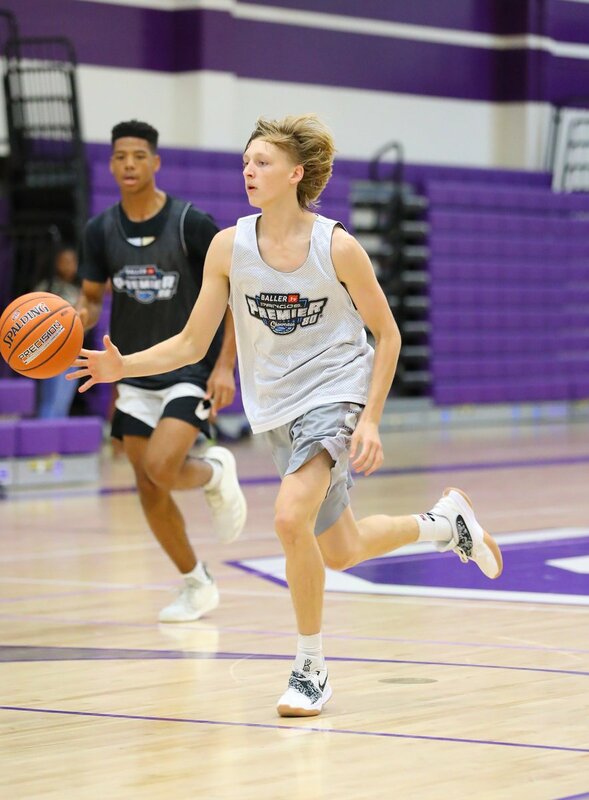 Mashack was denoted by long-time scout and McDonald’s All-American Game voter Frank Burlison as “the best defender on display in any of the games on any grade level” here and his quickly improving offensive skills weren’t too shabby either (15 points). The next major prospect out of Dave Kleckner’s Etiwanda program. High-end student too (3.5 GPA). Bouncy WG with real scoring ability and an excellent GPA (3.7 GPA). Slithering combo-guard has the quickness to beat defenders off the dribble as well the long-arms to be a harassing defender. Turner already has a reputation for being an excellent shooter. Underrated rebounder is a very good student (3.7 GPA). Rapidly developing young center with the length and size worthy of high-major looks. Skilled PF with nice ability to stretch defenses with his potent outside shot. Terrific student (4.1 GPA). Burly PF uses body well to score inside and has soft shooting touch. Agile and active combo-forward with ability to score in a variety of ways. Should benefit being under the tutelage of new JSerra coach Keith Wilkinson (former UC-Riverside assistant and USC forward). Strong and assertive wing can get to the cup off the bounce and finish despite contact. Quick and crafty scorer with elusive ball skills. Excellent shooter was on fire in Top 40 Junior Game with an event-high 33 points. That impressive performance earned him a promotion to the Top 20 Game where he once again was in double figures (14 points). Silky smooth lead guard has polished jump shot as well as ability to finish above the rim. Will be one of the elite playmakers in his class both regionally and nationally. Strong hybrid-forward with a scorer’s mentality and touch as well as nice footwork on the block. Talented young swingman is oozing with HM potential. Very promising WG with all the physical tools to be a priority HM recruit. Assertive off-guard with deep perimeter range. Top-notch student (4.0 GPA) as well. Heady SG with a confident and accurate outside stroke. Excellent student too. Quick lead guard with ability to beat defenders off the bounce. Athletic swingman is a very good defender and capable scorer. Athletic and powerful forward with great physique has ability to dominate games at his grade level. HM name for the future. Son of Cal State Northridge assistant Jeff Dunlap has excellent court instincts and a very impressive 3-point shot. High-major WG in the making. Son of former NBA All-Star point guard and current Memphis coach Penny Hardaway has high basketball IQ and nice scoring skills. Looks like Mater Dei or Bishop Montgomery are likely high school destinations. Active swingman with a high motor and playmaking abilities on both ends of the floor. Presley Bruskotter 5’11” 2023 Calvin Christian (San Diego CA) Terrific young shooter with deep range.